NTSC - An aura of luminous radiation envelopes the Earth in space (Loop). 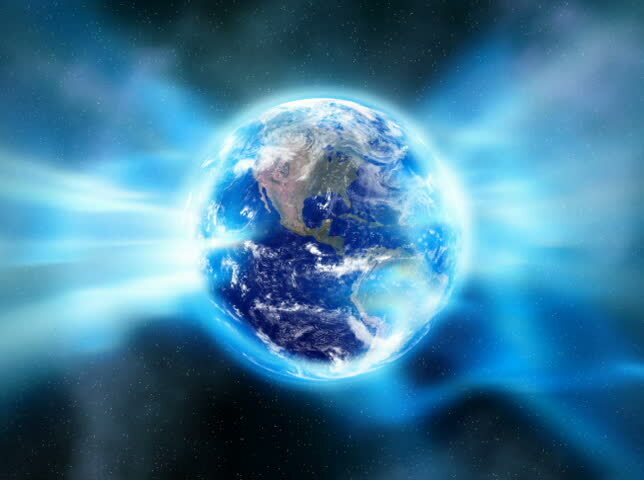 hd00:10Animation of rotating globe in blue shining rays. Contains loop.